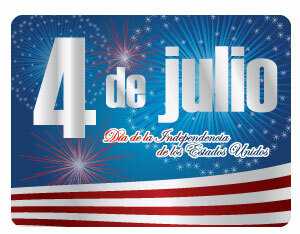 WordPress Blog Fourth of July in Puerto Vallarta! Fourth of July in Puerto Vallarta! Don’t get us wrong, we here at Vallarta Food Tours are absolutely head over heels with Mexico and her exquisite cuisine (none better, if you ask us! ), but when American Independence Day rolls around our taste buds start hankering for something a bit more “red, white and blue”. In the United States, July 4th marks not only the country’s hard-fought freedom but a time for families and friends to get together and feast. For us that have the pleasure to live in Puerto Vallarta, we get together with fellow compatriots and head over to some of our favorite spots. What could be more American than a juicy burger and mac-and-cheese? Few do it as well as Joe Jack’s Fish Shack. 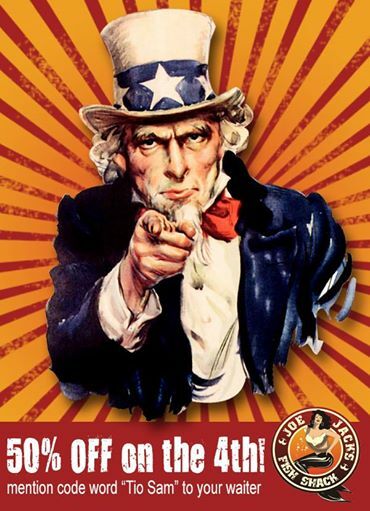 We would be happy with the gravity-defying burger and the creamy, cheesy goodness of their mac-and-cheese, but as if to say “we love you more than all the stars in the sky”, Joe Jack’s offers up a 50% discount, only on July 4th, to all who are privy to two special words: “Tio Sam”. With those two code words, your check is cut in half! Los Muertos Brewing Company, Puerto Vallarta’s only brew pub, is owned by a lovely American couple who know how to celebrate the 4th in style. Not only do they boast one of the area’s best pizzas, but they brew their own beers to great success. Their pizza is wood-fired and deliciously crispy. Their burger is another favorite that you should give a try. This Friday, July 4th, they welcome us and all their esteemed customers to partake in some amazing food and good times. 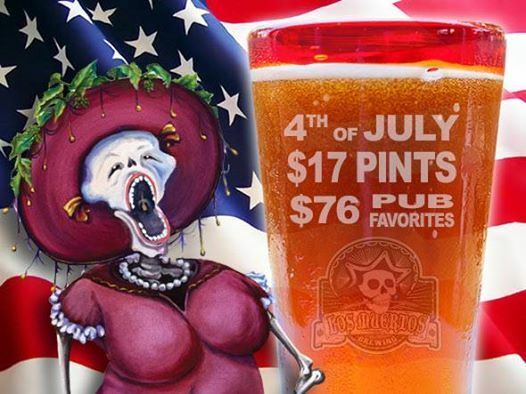 With a hat tip to 1776, year of the signing of the Declaration of Independence, Los Muertos offers specials including $17 peso pints! And $76 peso house favorites!